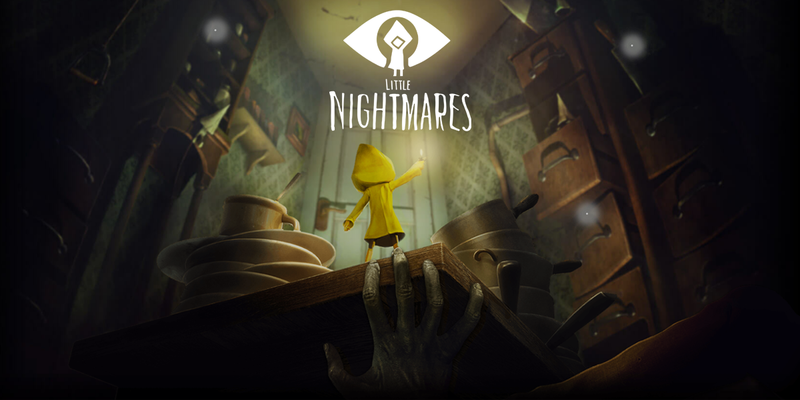 Little Nightmares is an indie platforming game developed by Tarsier Studios, set in a fantasy universe with artistic visuals to produce its rich world. This game, while having advertising behind it, has become a sort of hidden gem in the swarm of games released this year. While Little Nightmares may be shorter than most, it certainly has its place as a must-play of the year. The beautiful atmosphere, well constructed levels, and lovely animations bring this game to life in a way that will take most people by surprise. 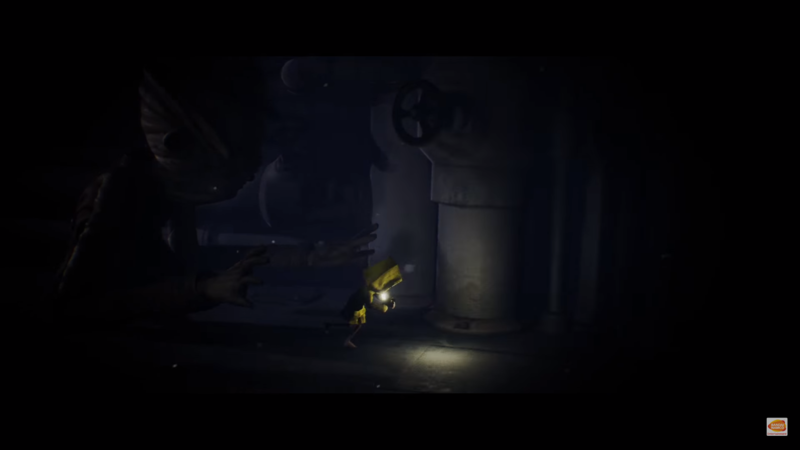 Little Nightmares is set in a place called the Maw. This is the horrifying world where the main character, named Six, finds herself after waking up in what appears to be a suitcase. While the game doesn’t have much in the way of storytelling, the plot is clearly projected by the artistic direction found throughout every level. The journey through the Maw has a sort of degrading atmosphere as Six faces harsher and harsher realities and has to be pushed farther than she ever would have gone before. What players find initially as a charming platform game with slight horror elements, in the end it becomes a truly interesting experience. The gameplay itself is a combination of platforming and puzzle elements with minor elements of stealth in between. At times, the game will leisurely let you explore environments and then out of nowhere, it will switch to a fast-paced chase between Six and the level’s antagonist. This combination of elements keeps the game entertaining all the way through and leaves you clamoring for more after the credits roll. The gameplay elements in this game are a breath of fresh air in the middle of a sea of RPGs and first-party titles. Another interesting note is that at some points you may find it reminds you of the popular Hayao Miyazaki film, Spirited Away. 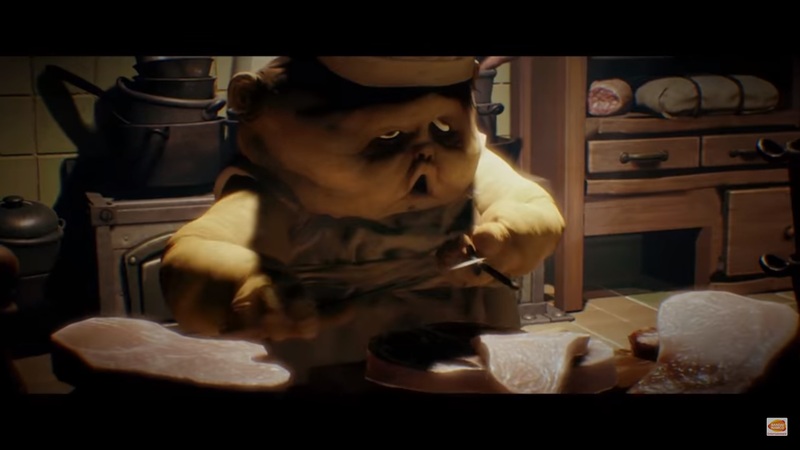 While I’m not completely sure if this was the original inspiration for Little Nightmares or not, it perfectly matches some of the feelings you got during the more intense moments in Spirited Away. To be clear, this does nothing but credit the game in its outstanding atmosphere. In my opinion, the best part of this game is the wonderfully crafted ambient synth sound that creates the atmosphere. Each level feels like you are truly just an animal trapped in this small, scary world. You perpetually feel that at any moment you might be attacked by an enemy or easily be taken out. This is really brought out by the fact that throughout the whole game you’re not allowed to use weapons. Six has to use her intelligence to get away and outsmart the beasts that are chasing her. 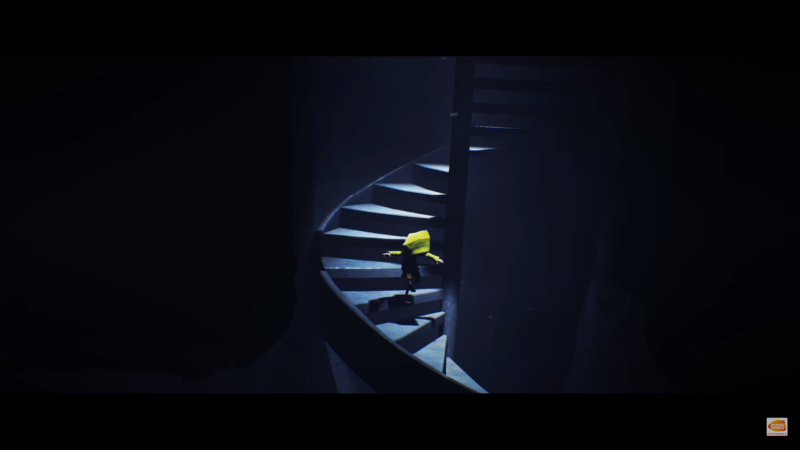 Because of this, Little Nightmares is at times a truly daunting experience as you find yourself having to think about how to escape certain situations within the game. On top of all of this, the design of the whole game really focuses on how tiny Six is compared to the world she’s been thrown into. You help her find anything to climb onto, from spaces above libraries to small things you take for granted each day but that Six must use in order to save herself. When you do come across the enemies in the game, they think of Six as nothing more than a meal. In one of the most prominent parts of the game, Six can be caught by a chef and if captured, he simply acts like Six is a vegetable that he is picking up to chop up for recipe. This in itself really brings out the undertones of the game that Six is here for nothing more but to be an entree in a four-course meal. Another big part of this game is its beautiful soundtrack. The music is made to perfectly match the mood of each area you’re going through. While you don’t hear a lot of vocals except for a few main parts the game, when you do they fit in perfectly to really make you realize what is happening in the story. At other times, the instrumentals give you a sense of urgency and really drive home the point that this game has horror elements. The sound effects are also very well put together and everything you can interact with has its own sound that fits it perfectly. If you’re interested in picking up this game for yourself, see if you can find the Six Edition of the game which costs $35 US and comes with the soundtrack as well as a figure and a few other goodies. If you prefer to just buy the game by itself you can pay $20 US for a digital download or go to your local game store to pick up a discounted pre-owned copy. Overall, this game would take you about 5 hours to complete. While this might not sound long to some, the sheer amount of craftsmanship in this game makes me want to support the studio to make more titles similar to this one. Whether it was five short hours or not, the fact that I walked away with an experience from this game makes it all the more worth it to me to put my money into this title.